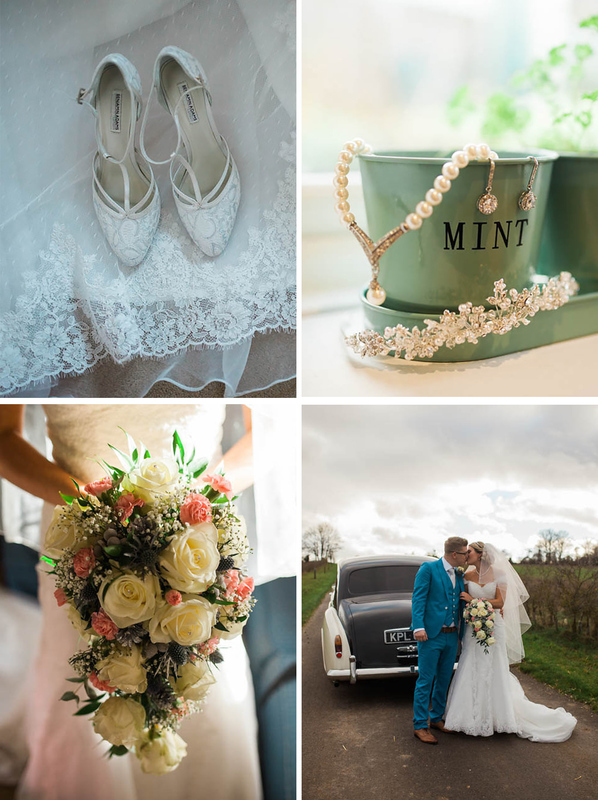 A pretty palette of silver, grey and dusky pink set the scene for Nicky and Stef’s enchanting winter wedding. 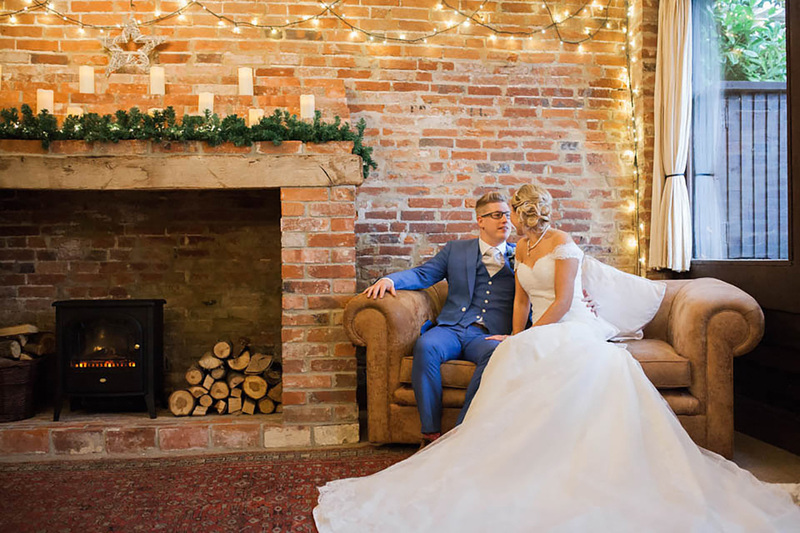 With winter wedding venues in mind, Nicky and Stef were keen to create a warm and welcoming celebration filled with love and laughter. They dreamed of a truly romantic day, complemented by a beautiful barn venue, and a warming feast to satisfy all their wedding guests. Finding the right rural wedding venue for their winter celebration was key. Knowing that they would be spending the majority of the time indoors, Nicky and Stef wanted somewhere that was really romantic; somewhere spacious yet cosy, and a venue that offered the whole wedding package. Luckily, they found all they dreamed of at Clock Barn. 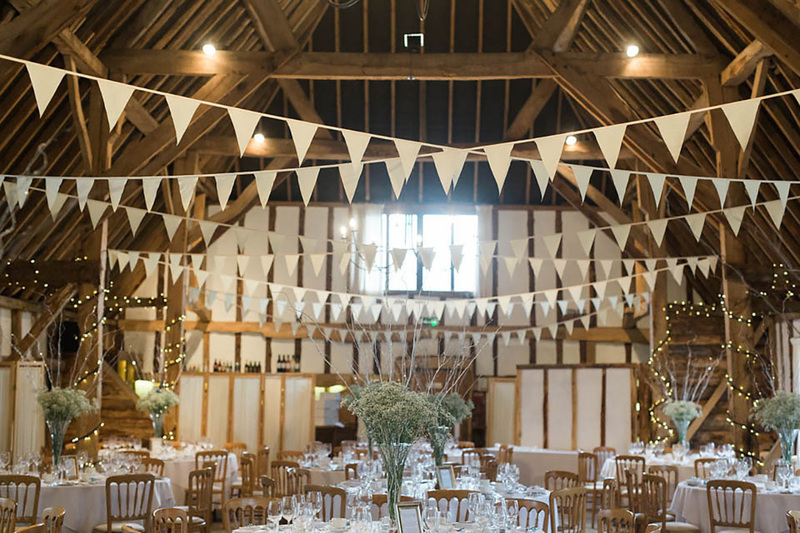 The rustic oak beams, natural barns, twinkling fairy lights, and chic, vintage bunting set the tone for Nicky and Stef’s big day. With the rustic wedding venues barns already beautiful, the pair needed to add little décor of their own. In keeping with their winter wedding theme, they chose a colour palette of silver and white – opting for silver willow with gypsum for their table centres. 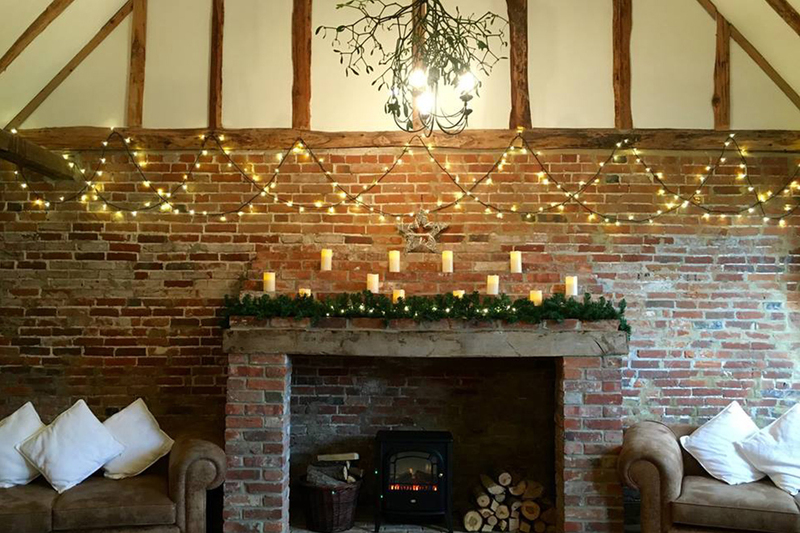 The rest of the perfect winter wedding venue was lit up with glimmering fairy lights. Nicky and Stef dressed for the season too. Nicky opted for a lace dress with off-the-shoulder lace sleeves and a long train. She teamed her gown with a pretty veil, embellished with diamantes, and a tiara. Stef, on the other hand, wore the colour of the day – silver. He paired a silver tie with a dark blue three-piece suit. For her bridesmaids, Nicky decided to go for the mismatched look, fusing together all the shades of her wedding colour palette. Her five bridesmaids were dressed in varying shades of pink, grey, and silver. 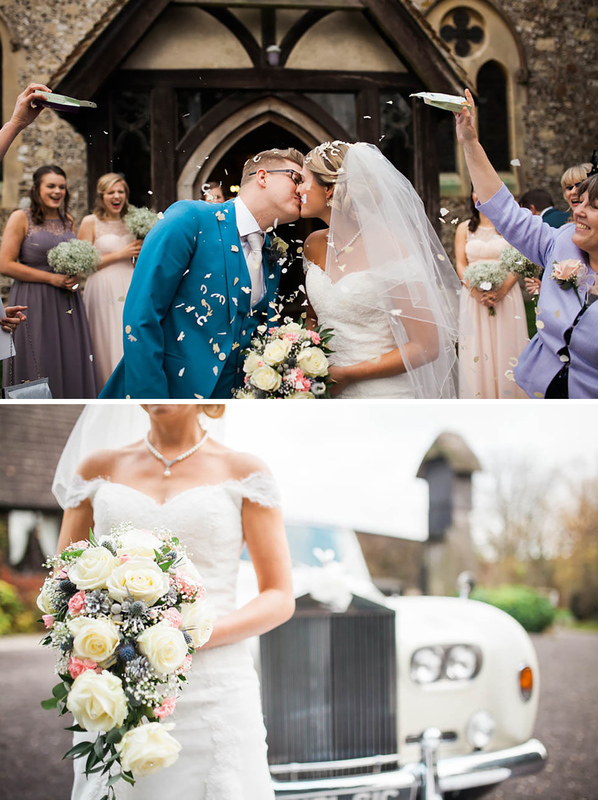 Nicky and Stef arrived at their romantic winter wedding venue in true vintage style, in a black and white Rolls Royce Phantom. They had tied the knot at their local church and travelled together to the Barn to celebrate their marriage. The emotion and romance of the day were apparent from the start – with Stef starting the couple’s celebrations with a heartfelt speech. The wedding breakfast that followed was perfect for winter and featured three warming courses. For starters, the pair opted for Scotch egg with pancetta; for their main, they indulged in a fillet of beef dish, and for dessert, they enjoyed a delicious winter crumble.